Your stainless steel appliances are the pride of your kitchen, and you want to keep that mirror shine polished to perfection. How do you do that? Well, we have some suggestions for you from Sub-Zero which is good advice for other stainless steel appliances as well. You can download their information sheet here. 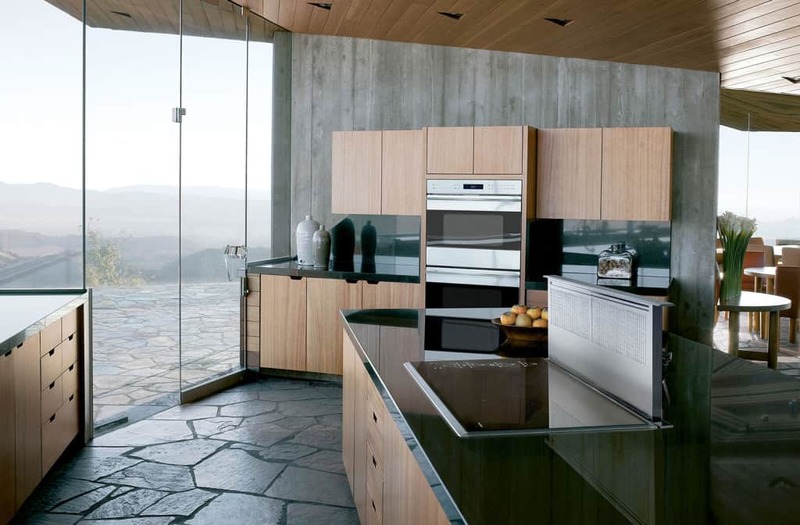 The upshot is that there is a variety of products available that you can use to clean your stainless steel appliances, depending on your preferences. A mild detergent such as Dawn, Ivory, Palmolive, or Neu can be used, or you can opt for a specialty line of stainless steel polish such as Signature, Magic, or 3M. Glass cleaners such as Windex have also been used successfully. Green alternatives like Method detergents, Method stainless steel products, and GreenWorks glass cleaner will do the job, as well. Bleach should be used sparingly, in small doses mixed with water, and reserved for the interior of the appliance. Some people prefer to use vinegar as a preliminary cleaner, but vinegar and alcohol are a hazard to plastic components. The main mission should be to keep the mirror shine by keeping appliances streak- and lint-free. So, besides using the recommended products, you should use a lint-free or microfiber cloth to remove stains, then finish with a polish. Follow the grain of the steel to keep it streak-free. For the interior, mix water and a mild detergent and use this to clean. Tougher stains can be combated with a baking soda and water paste, as baking soda acts as a mild abrasive. Use a 1:10 ratio of bleach to water on heavier soiling, like mold or mildew. Always rinse and dry with a soft cloth. Be sure to keep water out of lights, controls, and any wood facing. The glass shelves should be removed and allowed to warm to room temperature before cleaning with detergent and water. Depending on your appliance manufacturer’s recommendations, they can possibly be run through the dishwasher. Follow these simple tips to keep the interior of your appliance sparkling, without damaging the functional parts, while maintaining a flawless stainless steel exterior. Remember to call us if your appliances need some help. C&W Appliance Service is here for you and you can reach us at (855) 358-1496 or (214) 358-1496.